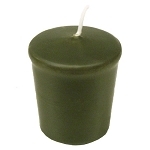 Use hunter green votive candles on a white background to make the color really pop. 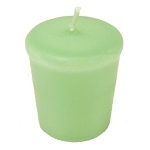 Use hunter green votive candles on a white background to make the color really pop. With a 15 hr burn life, they are sure to last as long as the party! The warm soft glow of candlelight is our preferred choice for most party lighting. 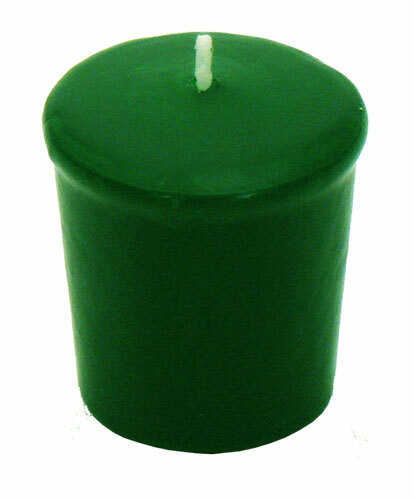 Use a number of green candles with bright colors interspersed to give the effect of flowers in foliage. 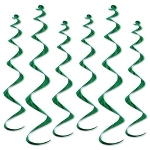 Green is naturally a great choice for spring and garden parties, and don't forget St. Patrick's Day! 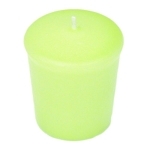 Use hunter green votive candles with a white background to make the color really pop. 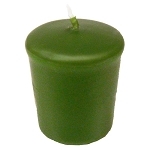 2" tall; 1-3/8" base widens to 1-3/4" at top; weighs 1.8 oz; Unscented; Color dipped; All Vegetable Wax. The entire candle will melt into liquid oil when lit, therefore it is important to burn votives only in a tight-fitting, open-top holder. Sold separately. Hard to find candles came quickly & packaged very well.Great service. Would definitely shop there again. Awesome quality!!! Best price anywhere for these!!! These candles are exactly what I was looking for. They fit in the hand carved candle holder perfectly. Thank you. We are delighted with the candles. The size, shape and color are perfect for our needs. Your delivery of the items was timely. When there was an issue, you were right on top of it and the problem was resolved. I have recommended your site to others and will revisit it ourselves. Q: what is measurement of candle? A: 2" tall with a 1-3/8" diameter base, which widens to 1-3/4" diameter at the top.